"We need to invite more and more people into the process. We do it through our team and the team that we're building," Buttigieg told CNN's Poppy Harlow and John Avlon on "New Day." The mayor of South Bend, Indiana, said he needs to do better when it comes to reaching out to African-American voters and increasing the diversity of the crowd at his campaign events. "I think we need to do better," Buttigieg told CNN. "As I've been on the trail, we found, to some extent, it depends on geography. We had a very diverse crowd at my first stop in Nevada, but less so in South Carolina. One of the most important things you can achieve in South Carolina is engage with African-American voters in particular, which represents such an important part of our party's coalition." Buttigieg said his outreach to African-American voters will include ensuring his campaign addresses "issues that disproportionately affect families of color," like housing, income, entrepreneurship and criminal justice reform. He also plans to reach out to African-American voters by "working to build a diverse team within our organization." "Some of it is quantity time. Where do you go on these campaign visits? 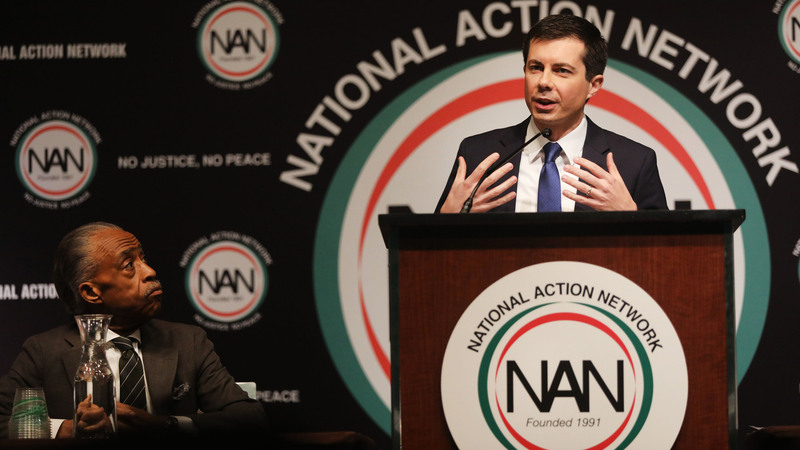 They're very traditional and important places where you can engage in voters of color, from church networks to some of the associations that have built up around the search for justice," Buttigieg said. "But also, there's a bit of a generational divide here. Younger people of color are less likely to organize in some of the traditional structures that would be true for my parents' generation. And that's where digital organization and reaching into different media venues is going to be important to make those connections." Asked if he was disappointed that his crowds have not been more diverse, Buttigieg said on Tuesday it means "we've got our work cut out for us."